A handy way to mark your garden so you know what you planted and where. 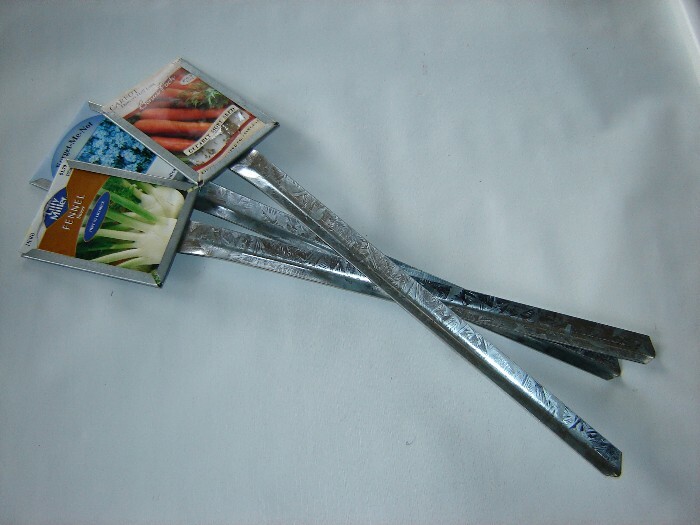 We used these markers last season in the vegetable garden and really liked them. They're durable and a lot nicer than a wooden stake. Also, they won't rot after one season like the wooden stakes do. 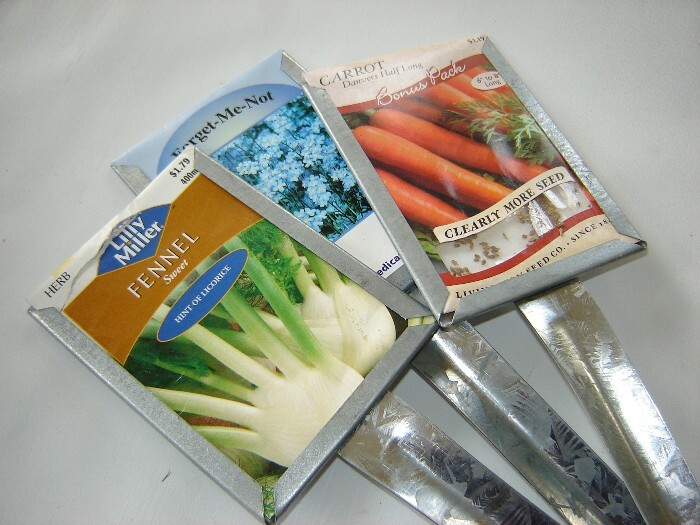 A seed packet easily slides into a slot on the front of the holder. You can put a small plastic bag over the top to protect the packet from getting wet while watering or in case it rains. They measure 18 inches in length and are made of galvanized steel. They come in bundles of five. The size, shape, and weight of this item means we much charge an additional $3 shipping fee to our flat rate shipping price to account for the actual cost of shipping it.